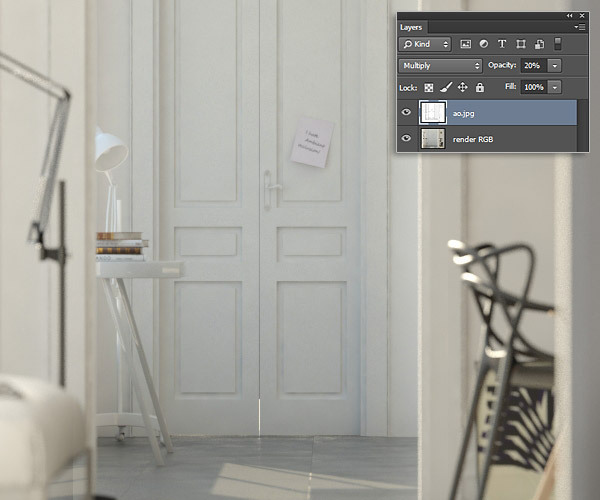 What is the Ambient Occlusion and how is it used? But most of all .. why? 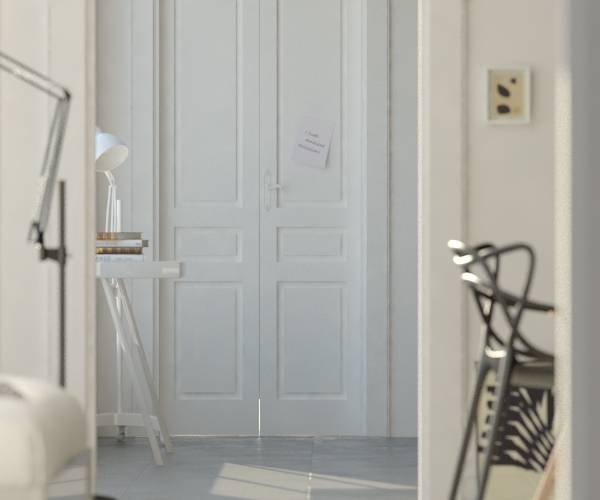 In this lesson I will share with you some considerations about ambient occlusion and in parallel about light modeling, in the field of photographic renders. Hey, this post is not to say that one technique is better than another, I just want to adopt my usual photographic approach to draw your own conclusions. 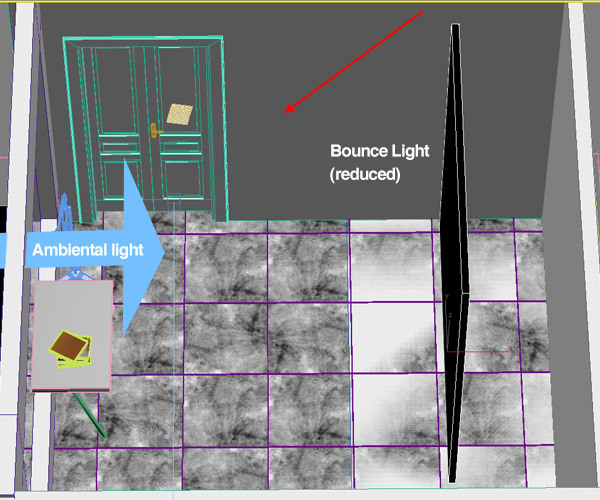 So the Ambient Occlusion (from now on I’ll simply call AO) throws shadows Environmental linked to the proximity of objects and – above all – is not linked in any way to the light present in the scene. 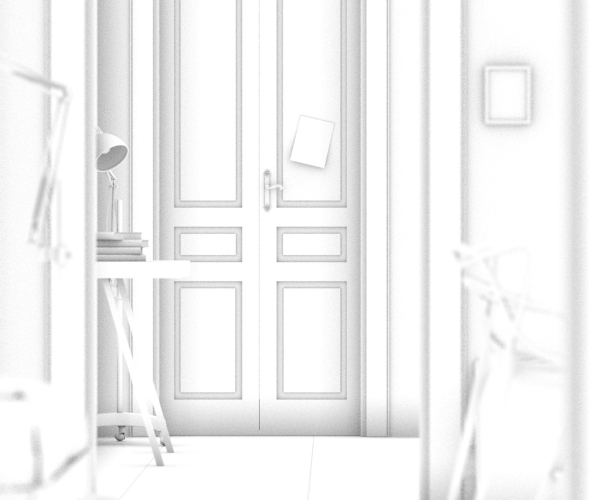 So much so that it can also be generated by turning off all the lights and global illumination. To tell the truth already 1-2 points often enough, the default radius is 25cm which in most cases is more than good (2). Not bad, but we can go further! Returning to the original image when the door seems to lack body, we can do a completely different analysis. As real photographer I’m amazed by how it is possible that an oblique light fails to bring out the details?! It ‘really strange, a photographer is accustomed to use grazing lights to highlight findings and imperfections: how come it does not happen in this case? Maybe it happens, but the ambient light that comes from the left crosses another light crosses from the right. This light from right ‘off’ the shadows generated by first. Actrally it isn’t a real light source: it is the light that bounces off the walls and ceiling, which, being completely white and clean return an equally strong light that ‘clears’ the three-dimensionality. Please note: this issue is not about V-Ray and 3ds Max, but is purely photographic! 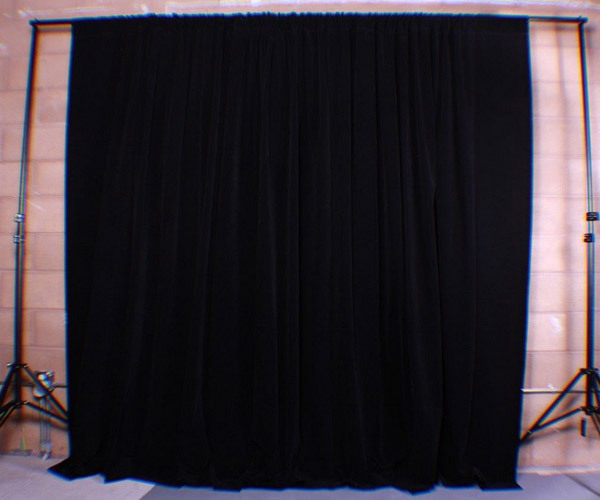 It also happens in the real sets, so using draps of black velvet we can avoid unwanted light bounces. 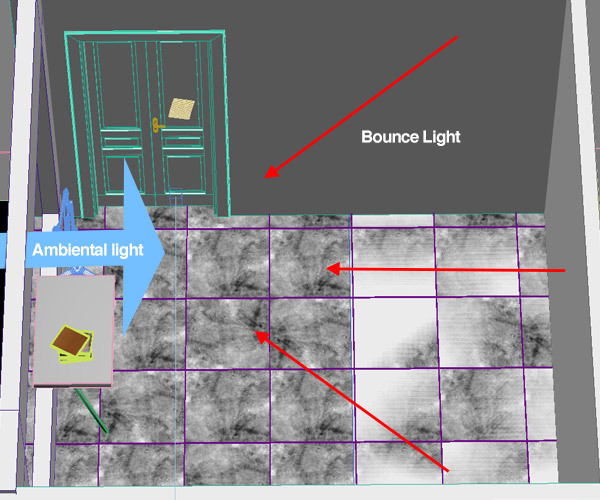 This is the “modeling light”, one of the most fascinating things that I know and effective! 🙂 cleaned and returned just as strong a light that ‘clears’ the three-dimensionality. 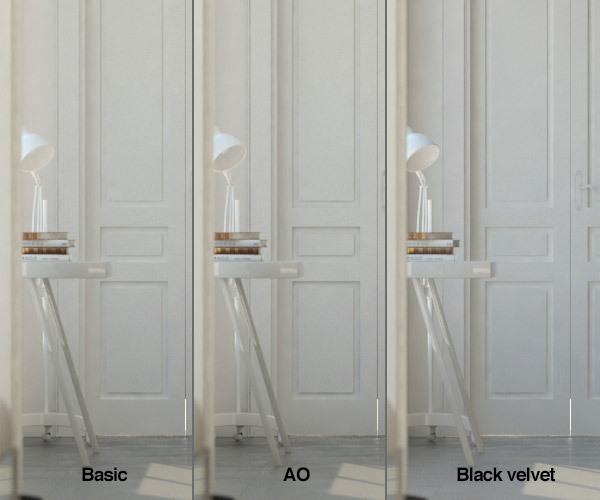 – BLACK VELVET: with the black velvet details increase, according to the light direction! The world of photography offers to the photographic rendering all the answers. You guys don’t need to be “super heroes rendering” to simply try and get success . Just use V-Ray as it were a real DSLR in your hands, taking a real photo. (2) Another thing you might have to edit the ‘subdivision’ – Anywasy 8 often is good because it will be used in photoshop always a 20-30 % maximum opacity.